New Year resolutions give extra determination. Make and keep following resolutions for better skin. Always keep your dermatologist in loop. As the year 2016 is coming to an end, all of us are filled with zeal and excitement to welcome the New Year and most of us have already started making list of resolutions. Yes, New Year calls for new resolutions that we set for ourselves in the hope of better outcomes. Most of the resolutions people make usually revolve around taking up healthy eating habits, getting fit and not committing mistakes that have proved to be a costly affair in the year gone by. But, have you thought of making a resolution that can help your skin? You will be amazed by the results you will get by adding a few healthy skincare habits to your list of resolutions. Not sure where to start? Don't worry, we have got you covered. To begin with, your first step should be to get rid of make-up products that irritate your skin and buy a few that promise supple and healthy skin. But it's not enough. Here are few suggestion that are not only easy to follow but are also effective. If you have not been changing your bedding regularly, you might want to change this habit. When you sleep, your skin comes in direct contact with the germs that are accumulated on your pillow cover. So, when your skin’s natural oil comes in close proximity with these the germs, you often end up getting skin irritation and outbreak. All of us spend hours glued to our cell phone without realising the horrors we are subjecting our skin to. As you may know your smart phone’s screen is home to thousands of scary bacteria which come directly in contact with your skin when you place it next to your face while talking. So, clean the screen twice a day with anti-bacterial wipes. We spend hours putting on skin serums, creams and SPF on our face, but we usually ignore the fact that our neck is a part of our body too and needs to be taken care of. In fact, you will be surprised to know that the first signs of ageing begin to show on the neck area. Therefore, it is pivotal that you pay proper attention to the skin of the neck as well. You can exfoliate your neck at least thrice a week with a mild scrub and then moisturize it well. Every day when we apply skin care products over the skin, we fail to allow them to get absorbed into your skin. Be it your best moisturiser from your favourite brand or the SPF that suits your skin, nothing will work unless you let them stay there for ample amount of time. So, from now on, apply your SPF or moisturiser at least 15 minutes before you go out under the sun. 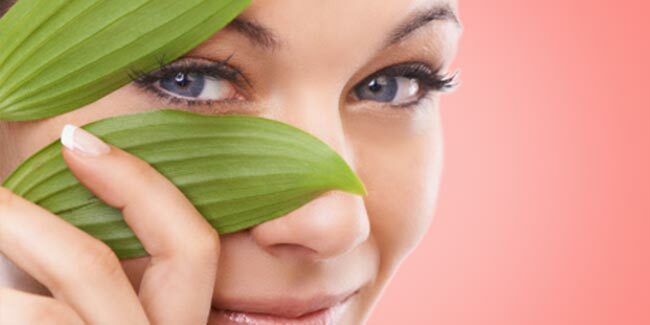 You must have heard about skin care home remedies all your life and most of them might be effective but how can you be sure that they suit your skin type? There are various skin types and a remedy which works wonders for one skin type may do more harm than good to other skin types. So always, consult your dermatologist before you try anything on your skin.